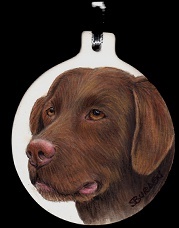 “Turning images into heirlooms; captivating expressions from your favorite photos." $75 each. Tax and shipping not included. 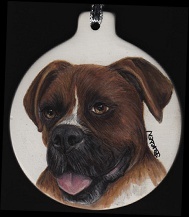 Hang with an ornament stand or frame for year long enjoyment! 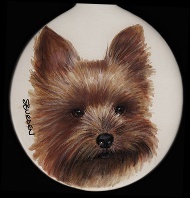 Hand painted watercolor pet portrait on a 3" flat ceramic disk.